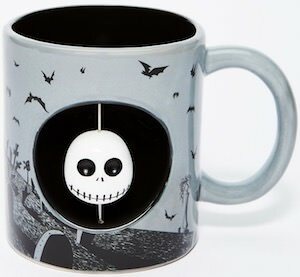 Now you can get your coffee served in this Jack Skellington Spinner Mug. This is not just any The Nightmare Before Christmas mug this mug is special as it has the face of Jack Skellington on one side and you can spin it around as it 3D and is secured to the mug. The rest of the Jack Skellington mug is light gray in color and even has the famous Jack Skellington and the moon scene we all know from the movie. And this ceramic mug can hold 20oz. of you favorite drink and as it is so amazing you can only wash it by hand. Now there is a Vandelay Industries Mug for all the true Sienfeld fans. 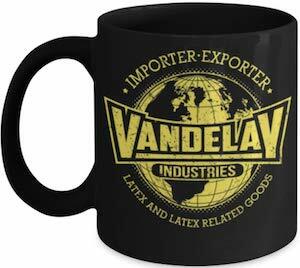 The black mug is 11oz and has a cool Vandelay Industries print on both the front and the back in a yellow color and a worn look. 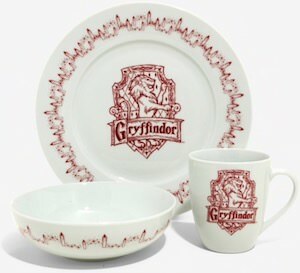 George should have got some of these mugs for his make believe company as they are really cool and would have made for great gift for all his friends. So if you are or know a fan of Seindfeld that also likes hot beverages like coffee or tea then getting this mug would be just perfect for you or as a present for friends. 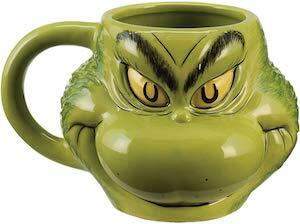 If you are a true thirsty Grinch then you have to get this Scultped Grinch Mug. The mug is green just like the Grinch and it is sculpted in just like his head and a 3D mug like this is way cooler then just a boring straight one. The Dr. Seuss mug is 18oz. and made from ceramic but it is not dishwasher or microwave safe. A fun mug like this is great for Christmas but can be used all year long as it does show people around you about what kind of Grinch you are. 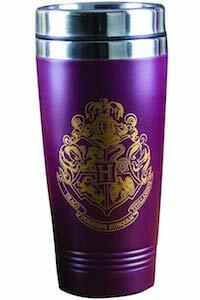 Coffee, tea, hot chocolate, or even beer this mug is perfect for your beverage. 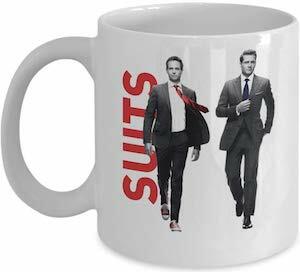 Now you can drink coffee in lawyer style all thanks to this Suits Mike and Harvey mug. The white mug is 11 oz. and shows the same image on both sides of the mug. On the mug you can see in red the text “Suits” and on top of that you can see Mike Ross and Harvey Specter walking to you. A mug like this is great for at home and the office and that means no more paper cups and that you have the two best lawyers on your side and that could mean that people watch what they do around you as they know you will have the Suits guys are there to protect you. If you like Seinfeld and a morning coffee then you should check out this amazing looking Seinfeld faceless coffee mug. The Seinfeld mug is made from white premium ceramic and comes in an 11 and a 15 oz version. On the white ceramic mug you can see the cast of Seinfeld only without their faces put in. 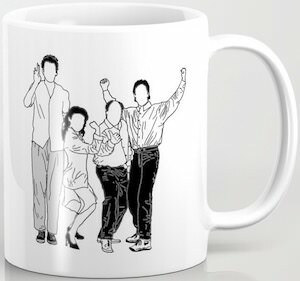 You can see Kramer, Elaine, George, and Jerry Seinfeld doing some fun poses to make this just a fun mug. True fans of this now classic TV series can get a smile every morning while looking at this mug while getting ready for the first cup of coffee of the day. The classic television series Better Call Saul has a main focus on Saul Goodman a lawyer who’s real name is Jimmy McGill. 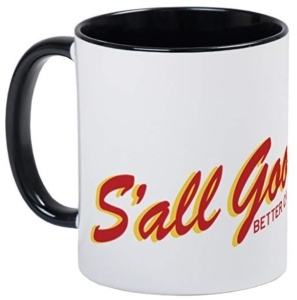 This mug features Saul Goodman as a lawyer, find the saying ” S’all Good Man ” and the text of ” Better Call Saul ” in red on a white ceramic mug with a black handle and inner portion. The coffee mug is 3 inches in diameter x 3.75 inches tall with an 11 ounce capacity. You will also have a choice to get the Mega Mug which is 3.25 inches in diameter x 4.75 inches tall with a 20 ounce capacity. Made to be very durable and last a long time, this mug is dishwasher and microwave safe. 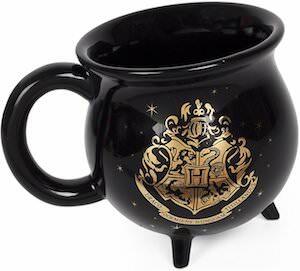 It is the perfect mug to give as a gift or keep for yourself filling it up with your favorite coffee, tea or beverage. Now you can have the funny little yellow Minion help you with your favorite beverage like coffee, tea or anything you wish with a great mug. 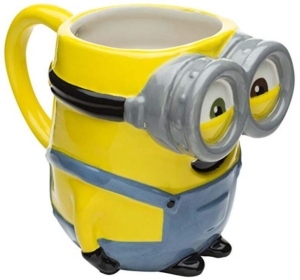 This is a 3D ceramic mug of the Minion they call Bob, with so much detail from the yellow Minion skin to the blue overalls and of course Bob has two eyes with goggles on. Made to be very durable and last a long time with BPA-free ceramic, the Minion mug is full functionable and you can also put it in the microwave.